Antivirus software: who can you trust? Recommended for Learning - Free ebook! So, you're done virtualizing. Now what? Which vSphere virtual switch is the best fit for you? In this week's newsletter we ask the question: How well can you trust the antivirus software you use in your company? We'll also examine cloud archiving solutions, a new brute force attack against locked iOS devices, why Your Editor is getting tired of Bing, and what it's like surfing today's Web using an old Mac Plus. Plus we have some tips on Microsoft Outlook, Office, and PowerShell. And lots more feedback from readers on the topic of PC failure rates and how to mitigate them. All this and more in this week's issue of WServerNews. Hi – I've been given the run-around by Microsoft on what I thought would be a simple question without need to cough up a credit card for an answer. I am working on an installation of a Ruckus based wireless network for one of my clients. The folks at Ruckus seem to be stumped since we've gone from Linux based FreeRadius to Windows 7 FreeRadius and now to a Windows 2012 server based Active Directory based authentication model. The site has a visitor database of about 250,000 possible users and the controller needs to authenticate the users from AD (in this latest iteration) but never more than about 1,500 users at any one time. The only device that will ever connect to the server is the Ruckus controller to verify user/password. A TechNet blog post seems to say that only devices that actually use the server software or a service requires a license. The end user device (phone/tablet/laptop) isn't using any DNS/DHCP/AD/file shares on the server and in fact will never know a server exists on the back end. Do the end user devices require a license? Obviously we wouldn't use the W2012 server for AD authentication if that is the case as the cost would be astronomical. One of our items in Issue #1020 Worse than Superfish? was "Ask Our Readers: PC failure rate" where a reader named Tom told us that he was interested in knowing what other readers of our newsletter have to say concerning the failure rate of desktop and laptop computers. We then published some of the reader feedback we received on this topic in Issue #1021 Reader Feedback: PC failure rate. Since then we've received lots more feedback on this topic, so we're sharing a selection of it in this week's Mailbag. Regarding Mark Douglas's comments on PC failure. I have been building and maintaining corporate infrastructure for close to thirty years, and my experience show that with the exception of infant mortality or DOA, and Mark's burn in process will catch that, issues virtually all PC failures are traceable to two component engineering issues that present a failure cascade. 1. Moving parts. Whether its disks or fans or head actuators, if it has motors and bearings they will eventually fail. Better quality ones will last longer and you get what you pay for. Items I stay away from at all costs are consumer grade hard drives, and cooling fans of any sort that have sleeve bearings. These crappy little devices feed in to the cascade of failure by failing at some point to keep other items cool, and all electronic hardware engineering is dependent on power budgets and thermal budgets. Failed cooling is the root cause of much of the rest of the problems. An engineer who designs with adequate safety margin on components, voltage ratings, and thermal derating has a better chance of a long life product, but it can all depend on capabilities of a cheapie cooling fan that forces good components outside their design margins. This feeds directly into Item 2. 2. Power supplies which is where the rubber meets the road, or electrons hit the copper. Virtually all power supplies today are switch mode devices that are dependent on temperature sensitive power switches and regulators as well as passive components that all have thermal degradation issues if they are not kept inside design temperatures. Do that job with a crap fan and a lousy ventilation path and all bets are off. That's the start of the fail cascade. The second stage is that all the critical voltages from that power supply are controlled by regulators that are themselves temperature sensitive, and when they get outside of design temps so do the supplied voltages. That's the third stage of failure when the mobo components are laboring under out of boundary voltages or currents. The last stage is the outright failure mode of many switching supplies which is a coin toss whether the switch component fails open in which case is a certain voltage is no longer supplied, or the worst case, it fails closed and everything downstream gets hit with much more than it was designed for. Did it "just quit" or does it smell bad too? The place to do PM is power supplies, cooling and airflow. Do these right and everything else will probably live within the design envelope. This is edited on my 2009 vintage PC on its second top quality ball bearing fan cooled power supply after 6 years of 24/7/365 service. Last comment, buy the good ones with thermal fusing that are guaranteed to fail open instead of cheapies that can fail to a short and your mobo and components will live to serve under a new power supply! It is interesting to see people are experiencing such high failure rates on quality machines. I install ONLY Acer Veriton systems for my business clients. One office has 40 PCs and 3 servers in house (2 acer and one HP) the other has about 50 PCs and 2 servers. The servers are new and about 17PCs are brand new Acers, the rest an assortment of Del Vostro, MDG, local clones, and about 33 old Lenovos. In the first office(a large insurance brokerage) we try to keep the computers under 7 years old, and I have had a total of 3 hard drive failures, and 4 or 5 powersupplies fail over the last 4 years. I currently have one failing motherboard (about 6 popped caps) on a computer that is overdue for replacement (installed 07/07) The servers are 5 and 6 years old and I have replaced 4 out of 6 hard drives (in Raid 5 set). NONE of the PC failures have been within the first 2 years, 2 hard-drives have been covered by warranty. The server drives were all under warranty. At the second customers (a manufacturing facility), we replaced dumb terminals in the plant with used Lenovo PCs almost 5 years ago. Most were 486 xp systems purchaced used from a discounter and were 4 or 5 years old when purchased ($99 each with Kbd, Mouse, and WinXP Pro) We are now seeing a high failure rate on the 486 machines, with capacitors popping left right and center. The Pentium Dual Core units we bought on the second round (to complete the changeover and for spares) have been standing up quite well. We had some DOAs, but otherwize they've been pretty good. These systems are 9 years old and older. The non Acer PCs were all installed before I started looking after them - most were less than 3 years old so are approaching 5-8 years of age. About half a dozen or so have failed totally in the last 18 months, and many of the others have slowed down significantly (some due to bad caps) - and switching to Windows 7 from XP has initiated the change-over of the rest of the systems (mostly Pentium Dual Core and Core2 Duo processors) I've changed a few hard drives and power supplies on these older machines over the last 4 years or so. One server was DOA. Since the defective capacitors have worked their way out of the supply chain, PCs are pretty reliable - particularly "professional" quality brand name (Acer in particular) systems - and I won't sell anything else. I cannot agree with Mark Douglas on 'Cheap systems usually do not get past 4 years service unless they are rarely used, powered down most of the time'. First of all, how does he define whether a system is cheap or not? Are customer systems from Lenovo, HP, Acer or ASUS cheap? Or all systems less than A$500 is cheap? My employer manages 2000+ desktop and notebook systems from Lenovo and Acer. Most systems are less than A$500 and most have life for as long as 6-8 years. Most of the repairs are hard drive related. I also built my home computers and for my friends. At least my computers are being used everyday, and none of them fails within that 4 years period. I have been looking forward to upgrade to newer systems for a long time and they simply just won't break, not even my hard drives. 1. Power supplies Energy star rated that are over 80% efficient. 2. Solid State Drives (SSD) that are 2 million hours Mean time between failures (MTBF) not the old 600.000 hour specifications. This can cut your hard disk failure rate in half, not to mention the performance improvement. 3. Displays built from Gorilla Glass that lowers failure rates from broken displays. Those of you who do not appreciate reliability should have a good backup of your data on a USB drive or server. When will you learn, some are still in the school of hard knocks? I also laugh at those that call PC's a commodity in light of these differences. The Bloomberg article appears to allege that as a result of recent staff changes Kaspersky Lab may now be "filled by people with closer ties to Russia's military or intelligence services" and that this information was gathered from "six current and former employees who declined to discuss the matter publicly because they feared reprisals". Of course the implication that some might draw from reading this is that any security products produced by Kaspersky Labs should not be trusted. I guess it's simply reality that the mistrust that exists in the political world between nations would spill over like this into the cyberworld of software. But it does make you wonder: which antivirus software can I trust more? IT usually compares protection software primarily on the basis of how effective it is in identifying and repelling threats and secondarily on its usability/manageability. But maybe we should also start considering how trustworthy it is. What do you, our readers, have to say concerning this issue? Email us at [email protected] and let us know what you think. Second, having worked with many Microsofties over the years I've developed a liking for the company. 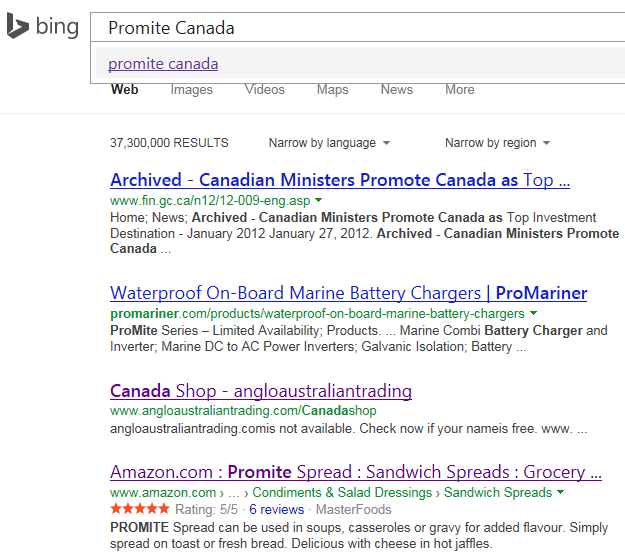 So out of "brand loyalty" or something like that, I decided awhile back to make Bing my default search engine. Well, that's no help. Let's try putting double quotes around each word. After all, Bing Help says doing this "Finds the exact words in a phrase" so that should work, right? Ta. I guess that's Google 1 Bing 0. But why? I wonder if maybe Microsoft is trying too hard to make Bing "intelligent" in the sense of "What you really want is probably this" whereby Bing thinks you've probably misspelled something in your query and tries to make some guesses about what you had intended your query to be. But whatever the reason is for such behavior, it's been rendering Bing less and less useful for me. This isn't the first time this kind of thing has happened when I binged something, and it's even occurred when I've been searching for something technical and Windows-related. returns "about 144,000 results" from Google. What if I prefix each word with a plus sign like this? This now says "No results found for +Promite +Canada" and shows me the results with no plus signs instead. What's going on? I thought adding a plus sign in front of a word when googling something forced Google only return results in which that word was present. Aha! Google must have changed this becuase now when you prefix a word with a plus sign Google limits the scope of the search to Google+ pages. When did that happen? I now get "about 146,000 results" which is weird. It seems that adding double quotes around each word has returned more results than without the double quotes. But there must be a way of forcing Google to make sure the results returned include both words (Promite and Canada) right? Let's try Google Advanced Search, which is inconveniently accessed by clicking Settings at the bottom right of the Google home page and selecting Advanced Search from the menu that appears. Then on the Advanced Search page, I type both words in the "find pages with all these words" textbox and once again I get "about 144,000 results" so no need to use the Advanced Search when I need to google something specific. Use advanced search to help narrow your results. On the search results page, click in the search box, and then click Advanced search at the bottom of the search suggestions list. In the Advanced search box, choose an option to narrow or widen your search, and then click Add to search. The search results are updated automatically. Wait a minute, there isn't any "Advanced search" item in the search suggestions list. Could Advanced search be broken in Bing? I checked the Settings page for Bing and Search Suggestions is indeed turned on. One more fun item coming up next. Get the information and confidence you need, from the pros who know, as they demystify security in the cloud! On April 15 & 16, join Rick Claus and a team of experts, for this two-part, demo-filled course. 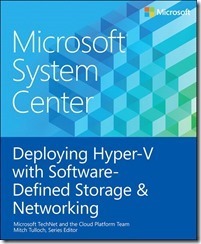 Explore datacenter operations, virtual machine (VM) configuration, network architecture, and more. Register today! This week we have tips on drag and drop in Microsoft Outlook, keyboard shortcuts for Microsoft Office products, and how to suppress confirmation messages when running some PowerShell commands. I noticed your Outlook save as tip – one I've been using for years. I've got a bit of a history with email starting back with cc:Mail on a 3,000 user site in the '90s. I've kinda continued that interest up to present day. I regularly conduct short training mornings on Outlook for my clients and I'm astonished at how little most people know about all the hidden features in the program. Drag and drop works on just about everything. As you discovered you can drag an attachment to explorer. You can also drag a message to explorer and it will save the entire message, complete with attachments as a single .msg file. Explorer search will search the text of the message when you need to file it again. This can be handy if you want to store all relevant customer information. Now some of the cool ones. I often get emails inviting me to events. These aren't meeting invitations, just messages. Drag the message to your calendar folder and it creates an appointment with the text of the email in the notes area and the subject of the email is the meeting title. Someone sends you an email and you want to add them to your contacts? Drag it to your Contacts folder (or People if 2013) and it creates a contact for you with the friendly name and email fields already filled in. The text of the original email is in the notes area. It also works with Tasks and Notes. Managing multi-cloud environments can be extremely difficult since no two clouds are built exactly alike. Fortunately, you can simplify multi-cloud management and make things much less complex going forward by using these new management tools. When it comes to virtualization, documentation is critical to avoid having to retrace your steps later on. Find out why you must record what you do, as you do it, to save precious time in the future, and discover the benefits of establishing a working baseline for server performance. Today's IT shops have to decide between hosting deskops in their own data centers through VDI or in a service provider's data center through DaaS. Access this exclusive guide for a comprehensive breakdown of everything you need to know about VDI and DaaS before making your desktop hosting decision. Currently, there are two options VMware offers when it comes to virtual switches, and though each virtual switch shares the same basic functions, only one comes with the top-of-the-line license option. Discover which option it is and learn why it might be the best fit for you. Famous for its innovative music videos, OK Go does a commerical for a Chinese furniture store with a remix of 'I Won't Let You Down' - all recorded in one take!